Story Contracting is proud to announce that Emma Porter, Head of Operations for Construction, has been shortlisted for ‘Business Leader of the Year’ at the Women in Construction 2016 awards. The Women in Construction Awards provides a showcase for the brightest and best female achievers in the construction industry. The awards ceremony will be held in Manchester on Wednesday 23rd March and proves that the construction industry is ‘not just for the boys’. Emma, who leads a team of over 80 men, was nominated for the award earlier in the year. She has introduced new strategies and has a collaborative approach to leadership within the construction division of the family-owned business. Diversity in the industry is something Emma is very passionate about. In the last 6 months she has mentored a number of females in construction roles, spoken with the media about the subject, been a co-designer for Go Construct and started a company internship for women studying engineering at university to spend a ‘year in the industry’ at Story Contracting. 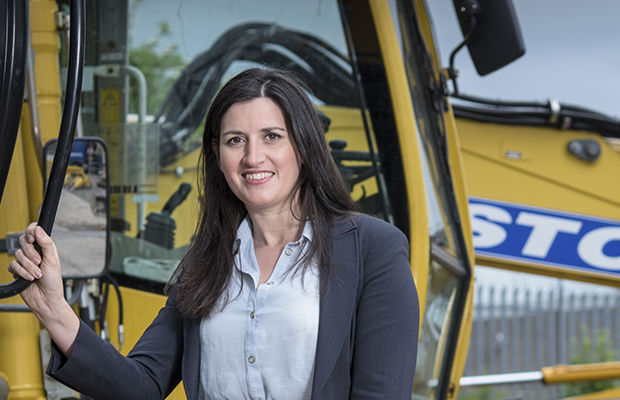 Emma thinks there’s still a long way to go but hopes to attract more girls to Story Contracting in construction roles over the next few years. The Women in Construction Awards aims to engage more females with a career in construction and Story Contracting wishes Emma the best of luck for the awards on the 23rd March.